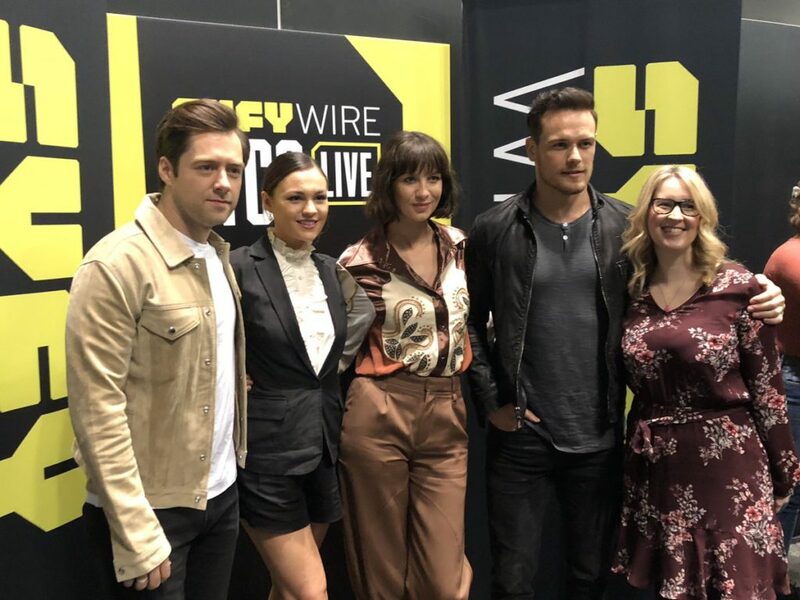 The Outlander cast, specifically Sam Heughan, Caitriona Balfe, Sophie Skelton, and Richard Rankin, were interviewed by Tara Bennett (that name might sound familiar because…) on the NYCC floor at the SYFY Wire stage. The interview is only about ten minutes, but it is below for your viewing pleasure (the interview portion starts at 1:30). And which one of you asked Richard to autograph an anatomically-correct Roger? This entry was posted in Caitriona Balfe, Interviews, New York Comic Con, Richard Rankin, Sam Heughan, Sophie Skelton and tagged Caitriona Balfe, Interviews, NYCC, Richard Rankin, Sam Heughan, Sophie Skelton, Tara Bennett by Sarah Ksiazek. Bookmark the permalink.